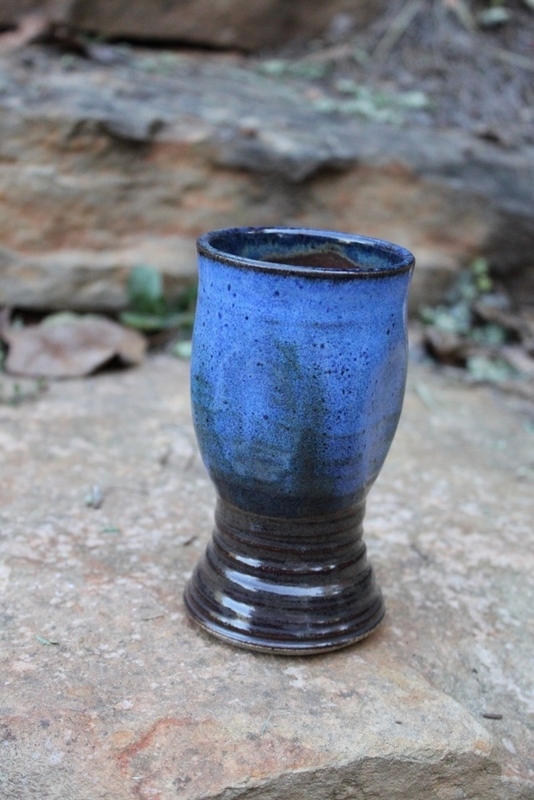 Hand turned stoneware EZ Cup is lightweight for pottery and sides are flattened for an easy hold. Keeps your cold drinks cold as stoneware holds the temperature of the liquid inside. Durable and dishwasher safe. High fire glaze never stains or scratches. Lasts a lifetime. It measures approximately 5 inches tall and 3 inches across the top. It holds about 10 ounces. All measurements are approximate because each piece is hand and and many vary slightly. Great for gift giving. All are signed and dated pieces of usable art. Very collectable.